I have a really small garden, and I and my boys love to glow vegetables and flowers. But in summer time, so a lot of mosquitos attack us and we never go to garden. The other day, I wrote one article about HSP and natural herbs. 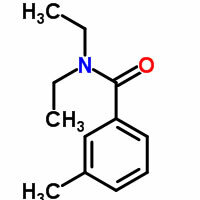 At there, one of the compound(matatabi-lactone) is used as mosquitos repellant.So, I start to research before summer season. 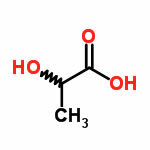 As I wrote in the article, matatabi-lactone is used as avoidance compounds for cockroach and mosquito. So, I compile the molecule that show same effect to mosquitos. 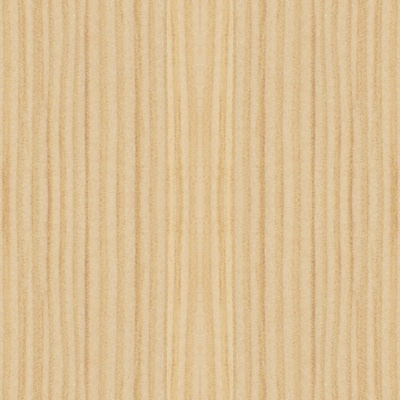 There is very good site in Wikipedia to search about it. The most popular compound is DEET. This compounds was developed my US army. it is very effective, but someone get an allergy with this compounds. And there are many natural herbs that are used for mosquitos repellant. like for Cat, Catnip is also used for this purpose. 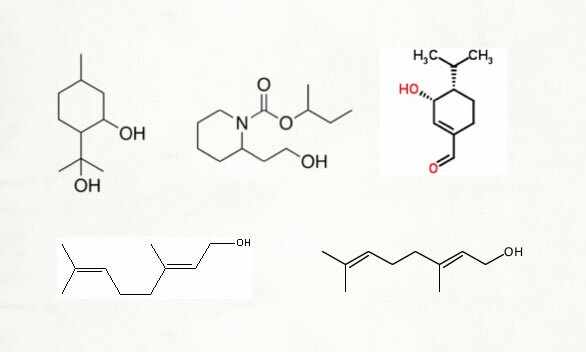 These compounds have very similar HSP. This result means mosquitos hate where Cat love, but I do not know the reason. The soldier might suffer with cat or lion when they use DEET. For the beginner, "Smilar HSP" or "not Similar" is very hard to determin. The solvent(Blue small sphers) are most widely selected popular slvents. 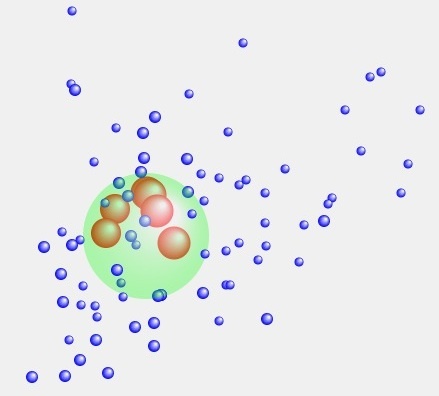 Please check the position of your molecules in this space. 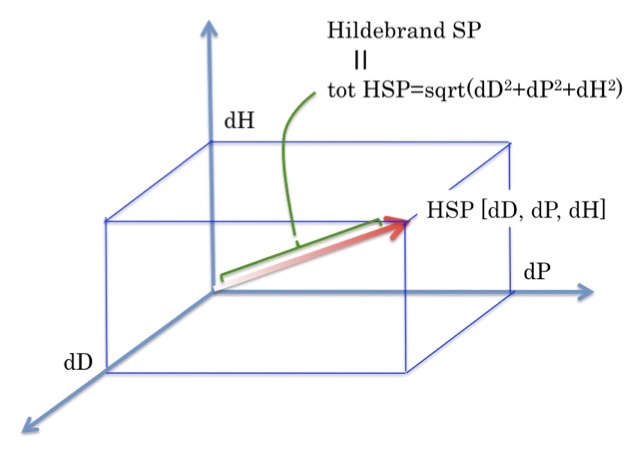 So, similar HSP means similar solubility (to mosquito's organ) and shows similar effect. dH is very high and it is so far from mosquito repellant compounds' HSP. Yes, I love such foods. So, problems is vapor pressure of these compounds. 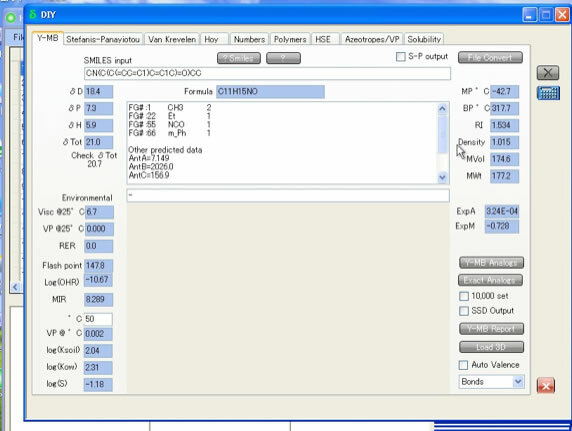 In HSPiP, there is function to estimate Antoine constants. 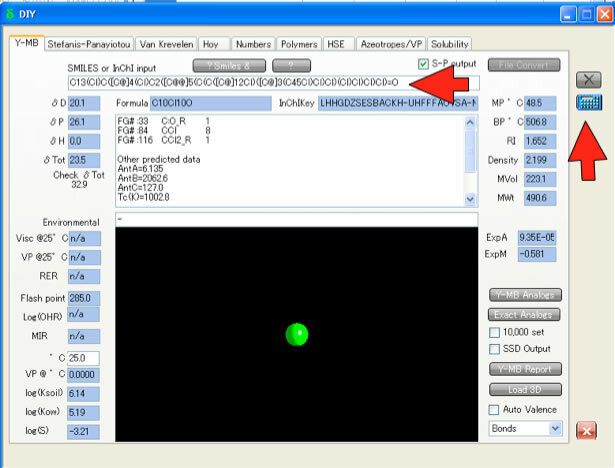 Y-MB break molecule into functional groups and calculate vapor pressure. The boiling point of DEET is much higher, so vapor pressure of DEET is 0.002mmHg@50C. So, we need to put much amount of chemical on our skin. So, I search other chemicals that HSP is similar to DEET in HSPiP database. Actually, a lot of surfer containing compounds are listed. But I do not hope mercaptan like smell in my garden even though it is mosquito repellant. There exist other type of mosquito repellant. These have more large dH compared to previous group. Please try to calculate if you are interested in. 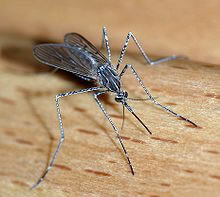 Japanese Health Care company announced that they developed Oral medicine avoidance for mosquito. Citral evaporate from skin slowly and prevent mosquito attack. 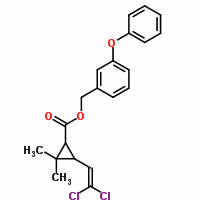 Concentration of Geraniol in urine is very low and effect of Geraniol is not strong. 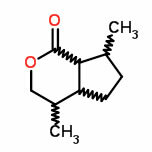 Maybe, Geraniol will be metabolism. 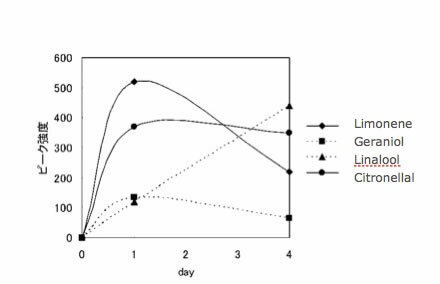 Mechanism of metabolism is very hard to understand, but logP(logKow), logS(solubility to water) ,logBCF (bio concentration factor) can be predicted with HSPiP. And this patent said that these compounds change one's body smell. In that case vapor pressure is also very important. HSPiP will calculate Antoine Constant for vapor presuure. 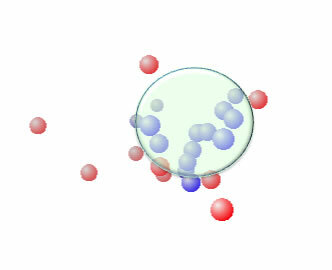 If the vapor pressure is very high, rapidly evaporate and effect will disappear. And like Geraniol, VP is so small, it will not effect. So, Citral has relatively high solubility to water and moderate VP, and the result become max. I checked my natural herbs database. The Lemon grass contain a lot of Citral. And Lemon Grass is used for very famous soup "Tom Yum Goong". That means when eat Tom Yum Goong, Citral will released from our body, and it prevent from mosquito. So, Japanese patent means nothing. I took my boys to the firm. They enjoyed sucking milk. After that, they were completely absorbed in killing mosquitos that biting cow. I am thinking what happen if they feed the Lemon Grass to cows. It is known that Pig contracted both Bird flu and Human flu. And New flu may incubate inside pig body. If the Lemon Grass prevent mosquito from animal, it is very interesting. Now one of the Japanese veterinary college become HSPiP user. So such study may proceed. Today's newspaper, Japanese university researcher found that the mosquito's mouthpart have a lot of TRPA1 protein. And that organ is paralyzed by some chemicals, the mosquito can not chase animals they said. What kind of chemicals (HSP) does they use? If I found, I will report again.